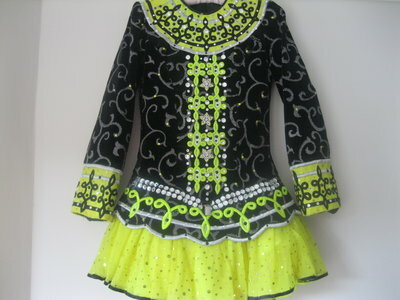 Black and yellow dress costume, in excellent condition with lots of swaroski crystals. This looks amazing on-stage! Comes complete with extra skirt, black kick pants and two headbands( one yellow, one black). All in excellent condition! Email me at sheo@utvinternet.com if you would like more photos or details.